OLD PARKED CARS. 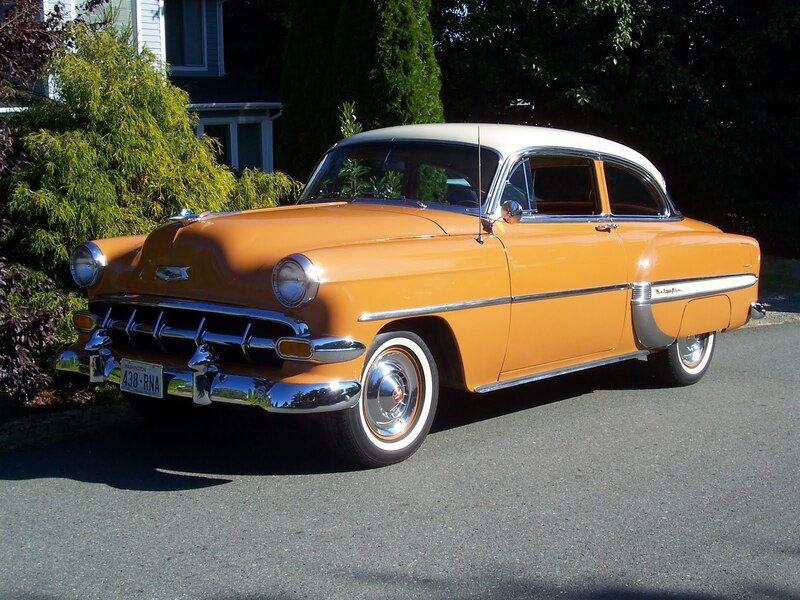 : Reader Submission: 1954 Chevrolet Bel Air Two-Door Post. Reader Submission: 1954 Chevrolet Bel Air Two-Door Post. Shot by a friend of occasional contributor Mike from Boeing. Thanks for sending this along, Mike! Looks like '54 to me. whoops! my typo. mike had it labeled correctly. acres of chrome and so flashy, they always get a look. 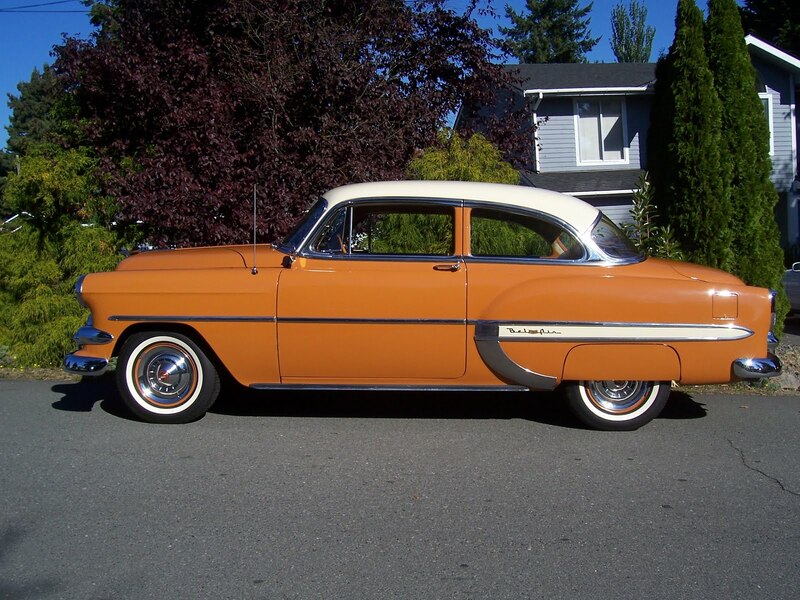 I love the salmon orange color on this one and those fender skirts just make the car look more classy. this thing must be so fun to drive around. Beautiful, just clean enough to not look like an over restored show car. 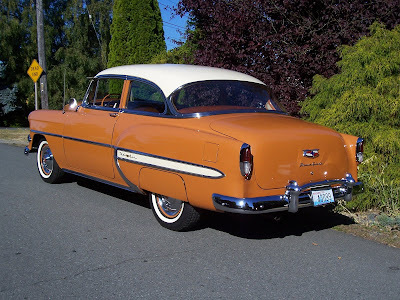 Absolutely love that salmon orange color, same with the fender skirts. omg! omg! omg! Can I have it please!